Good Morning Monsters! I hope you all have an amazing day planned! I am so excited to announce the first ever Plot Monster Writing Contest! This month Plot Monster is officially one year old. In honor of this awesome milestone I am hosting a short story contest. Each entry must be 3,000 words or less. You may enter more than one submission. The contest is open to contestants within the U.S and international contestants as well. You must put your country of origin on the submission. This is a must to ensure that you receive the appropriate prize. You must be the author of your submission. Don’t enter someone else’s work. If they want to enter, they can. It’s free. Entries must be original stories that have not been published elsewhere. 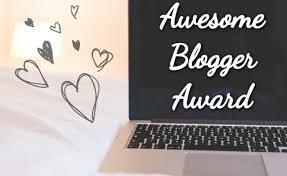 If you published on your blog, social media, or self-publish and want to enter your work, you may. However, if it has been traditionally published elsewhere it is NOT eligible for this contest – but congrats on having it published!! No genre requirements EXCEPT entries may not contain scenes with graphic sexual content. Mailing address and email address must be submitted with entry. This is also has to do with prizes. Entries may be received between 12 a.m. (CST) on August 1st – 11:59 p.m. (CST) August 31st. Winners agree to receive prizes via electronic resources and/or postal mail. They will each be introduced on Plot Monster at a later time. I reserve the right to make changes to this contest as necessary. You will retain all copyrights to the material you submit although you agree to have it published on Plot Monster and affiliate websites. By entering, contestants agree to these terms and conditions. To enter please email plotmonsters@gmail.com with ATTN: PM Writing Contest to ensure the email is received. If you do not receive a reply within 24 hours, please resubmit. 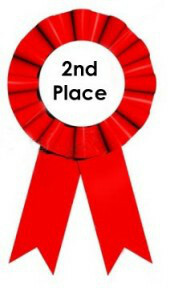 There will be a 1st, 2nd and 3rd place awarded. Some entries may receive honorable mention. Publication of their short story on Plot Monster. Additional prizes may be added at a later date. Winners will be announced on or around October 1, 2018. If you have any questions feel free to comment below or email plotmonsters@gmail.com.